A nine wind turbine wind farm in a South Dakota county along the Missouri River is nearing completion after about four months of construction. 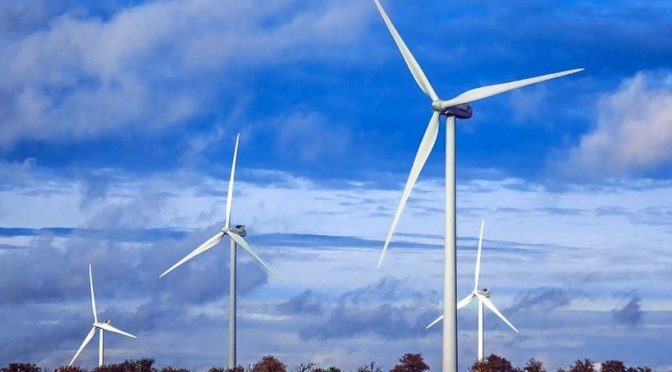 The project in Brule County is being developed by New York-based Con Edison, which is also planning a similar project in Aurora County. Both projects are each expected to cost more than $10 million. Wanzek Construction began assembling the last tower on July 11. Each turbine generator will have the power output of about 2.3 megawatts when the project is completed. That makes the total power capacity of the wind farm at 20 megawatts, which is enough energy to power about 2,250 homes for a month. Con Edison hopes to have both projects operating by November.